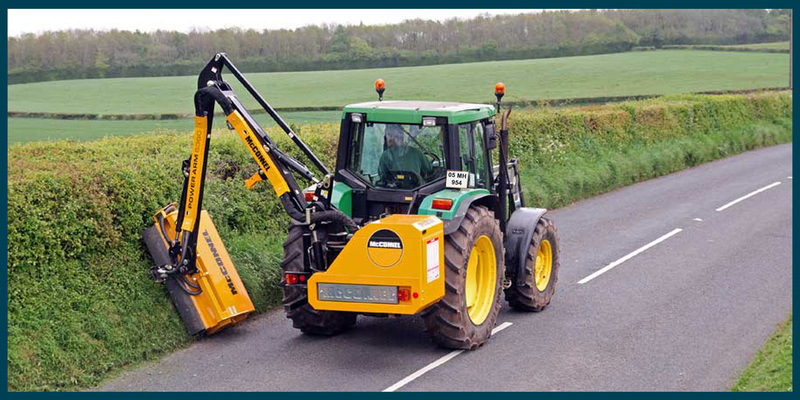 The working of a hedge-cutting machine with its head and arm fully or partially extended means there is additional weight transfer onto the tractor and this weight needs to be carried by the four wheels, the majority of weight being carried on the side on which the machine is operating. In addition, the dead weight of hedge-cutting saws carried by tractors also means additional weight transfer. For farmers and contractors carrying out hedge-cutting work, investing in heavy-duty tyres is a wise choice. 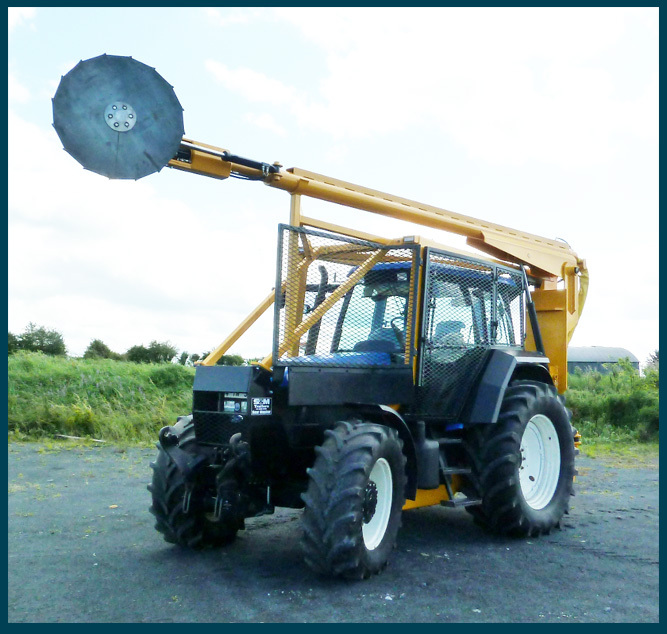 With a speed/load capacity of 180A8, each tyre can carry a load of 8ton while travelling at 40km/h. Featuring a sidewall protector, this tyre offers superior traction and stability. Its tread compound offers cut, chip and wear resistance which promotes improved performance and extended tyre life. With a high load capacity 170A8/167B, each tyre can carry a load of 6ton per wheel while travelling at 40km/h or a load of 5.45ton per wheel while travelling at 50km/h. The tread pattern and the carcass of this tyre offer optimum traction, self-cleaning and driving comfort. 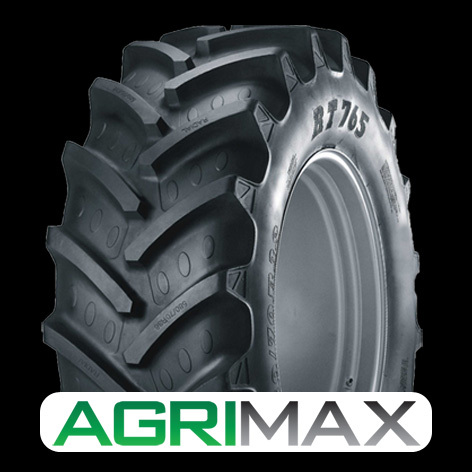 Both these Agrimax tyres are higher pressure tyres making them ideal to carry the dead weight of a hedge-cutting machine. With a high load capacity of 166A8/161D, each tyre can carry load of 5.3ton per wheel while travelling at 40km/h or a load of 4.6ton per wheel while travelling at 65km/h. A steel-belted block pattern tyre that offers improved puncture resistance due to its strong radial casing and steel-belted construction. 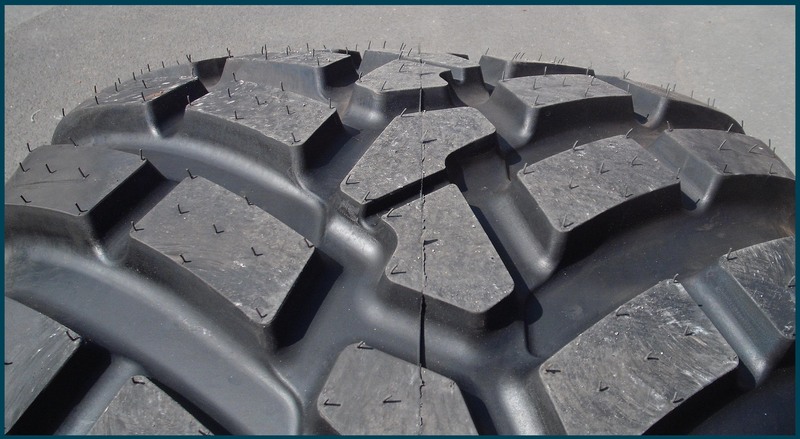 The tread design provides the grip required for road applications, including winter conditions. The wide footprint has a large contact area for stability and it is designed to carry high loads at speeds up to 65km/h. Also available in sizes 440/80R28 and 340/80R24, both suitable for hedge-cutting operations. Tyres are available from BKT agents countrywide. To find your nearest agent or for more information, contact Agrigear on (042) 9666444 or visit www.agrigear.ie. 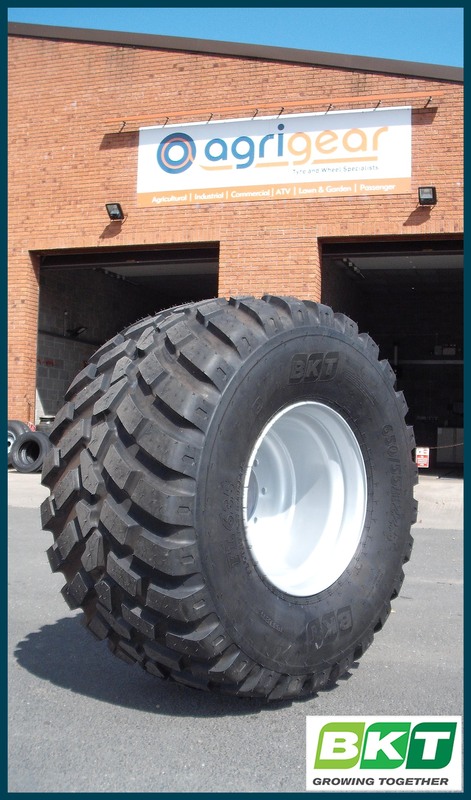 The FL-635 tyre from BKT is a radial flotation and transport tyre available in size 650/55R22.5. With a load/ speed index of 167D, each tyre can carry a maximum load of 5.45 tonne while travelling at 65km/h. 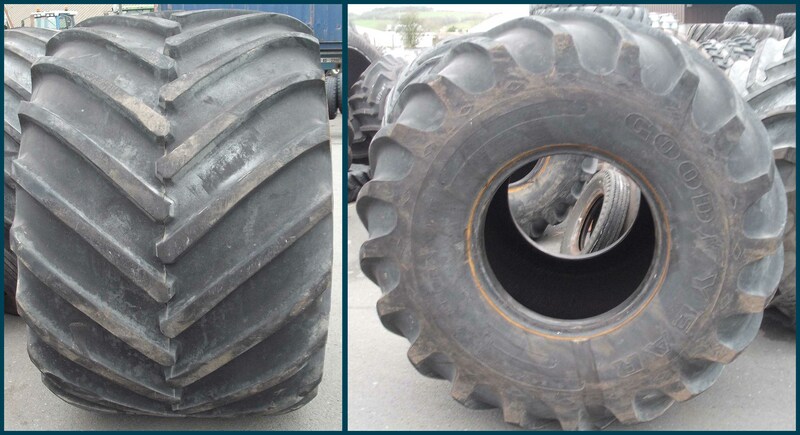 The FL-635 tyre from BKT is a radial flotation tyre suitable for 50% field, 50% road work. The open block pattern is specially designed for grassland (baler) applications. These tread blocks offer even pressure distribution across the footprint so as to minimise damage to the ground. The flexible and robust construction of this tyre consists of four heavy-duty nylon plies with multiple layers of polyester belts. With excellent traction and good flotation properties as well as good self-cleaning properties, the FL-635 tyre is an ideal tyre for agricultural grassland work. 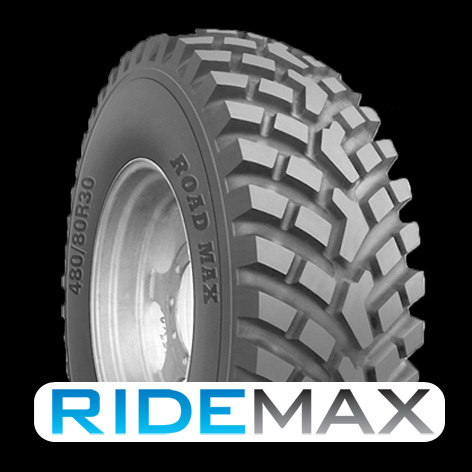 Particularly suitable for balers and silage wagons, this tyre is also an ideal fitment for tandem tankers of up to 3,000 gallons. It only takes a few moments to complete the following three key safety checks and it's something we should get into the habit of doing at least once a month. 1) Inspect the general condition of each tyre to ensure they are free from bulges, lumps and cuts. Also any foreign objects embedded in the tread, such as stones, should be removed. 2) Check tyre pressures to ensure they are inflated to the vehicle manufacturer’s recommended settings. This information can be found in the vehicle handbook, inside the fuel filler cap or on a plate on the driver’s door sill. 3) Examine tread depths to ensure they exceed the minimum legal tread depth of 1.6mm across the central three quarters of the tyre, around its entire circumference. The legal minimum limit for tyre tread depth in Ireland is 1.6mm. This is due to the fact that tyre performance, particularly in wet weather gets worse as the tread wears down. The greater the wear to your tyres the worse its wet weather grip will be. Tread depth should be checked more frequently once it reaches 3mm. Tyres should be replaced before their tread depth wears below 2mm. This is especially important if heading into autumn and winter months. 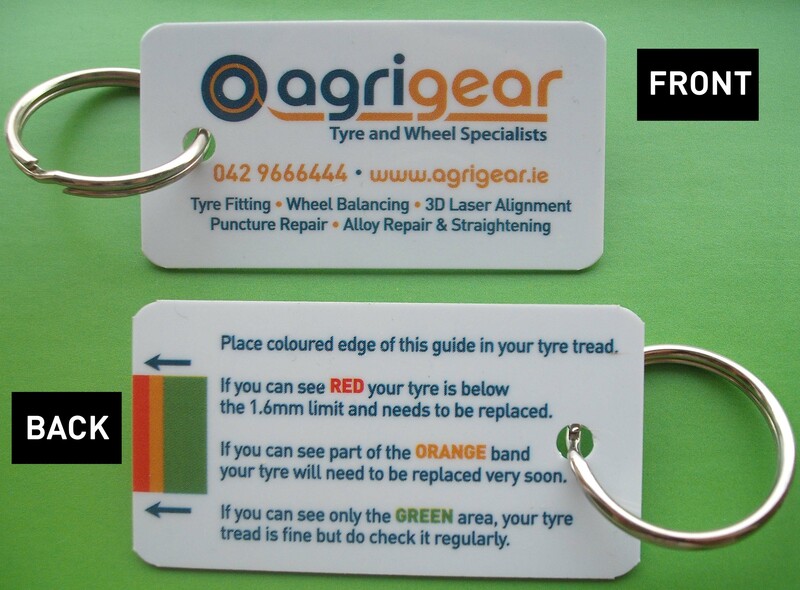 Complimentary tyre tread depth gauge keyrings are available at Agrigear's reception and showroom. To request a free keyring, please email us at sales@agrigear.ie or visit the Agrigear stand at this year's National Ploughing Championships in County Laois from 23rd to 25th September. Tuesday 23rd - Thursday 25th September 2014.